There are no setup fees, no activation fees, no plan change fees, no relocation fees (when you move with Falcon) or no hidden fees. With Falcon, what you see is what you get – it’s that simple! Easy to switch & easy to connect with no lock-in contracts and no worries. You can leave anytime, but we doubt you will. Our nbn™ plans are a month by month subscription which means in the unlikely event that you want to leave Falcon, you can do so at any time by giving us 1 month notice. You can set up, connect and manage your nbn™ subscription with ease, all online or through our iPhone or Android apps. With Falcon Online, you can view your bill statements, account status, update your payment method or make payments, monitor your usage, get support & broadband network updates and much more. We’re all about making it easy for you to find what you need and help yourself in your own time. nbn™ Speeds: These speeds are maximum connection speeds as provided by nbn™. Actual throughput speeds may be slower and could vary due to many factors including type/source of content being downloaded, hardware and software configuration, the number of users simultaneously using the network and performance of interconnecting infrastructure not operated by Falcon Internet. Devices connected by WiFi may experience slower speeds than those connected by Ethernet cable. Quick answer: If you’ve already got an nbn-ready modem that’s not locked to a particular network, you should be able to use it to connect it to Falcon. You will however need to check your modem’s compatibility, as the exact specifications required will depend on the technology used to service your address. Recommended: Instead of bringing your own device and to keep things simple, we recommend purchasing a Falcon modem when you sign up, as the modem will arrive pre-configured, allowing for an easy setup. It also means Falcon will be able to provide you in depth troubleshooting later down the track, if needed. All Netcomm Wireless modems come with a standard one (1) year warranty from the date of purchase from Netcomm Wireless. As long as you have an active nbn™ subscription with Falcon, your Netcomm Wireless Modem will be covered by our (2) year extended warranty. With Falcon, if your Netcomm Wireless modem has a major failure or we identify any modem related issues that is impacting your Falcon internet service, we will replace your modem within (2) year extended warranty period at no cost. We’re offering an optional pre-configured modem with each of our nbn plans. The D-Link DVA 2800 modem is a high quality nbn-ready modem at a great price! Our nbn™ Bundle comes with a *NBN Ready Wi-Fi Modem Rental. Our High Performance NBN Ready Wi-Fi Modem comes pre-configured for you so it’s as easy as possible to get started. You’ll find a quick set-up guide in your self-install kit. We will rent you a NBN Ready Wi-Fi Modem to use with your NBN Home Bundle services. The monthly rental price of the modem is included in monthly nbn™ plan price which includes a unlimited warranty period as long as you remain a customer of Falcon Internet. If you’ve already got an nbn-ready modem that’s not locked to a particular network, this is the modem option for you. Recommendation: Instead of bringing your own modem, we recommend purchasing our D-Link 2800 for only $129.95. You’ll save $200 (retails for $329.95), you’ll get one of the highest quality nbn-ready modems available and it will arrive pre-configured allowing for an easy setup. It also means Falcon will be able to provide you in depth troubleshooting later down the track, if needed. Falcon wants everyone to experience nbn the way its meant to be, super-fast and unlimited. That’s why Falcon continuously monitors traffic and the overall performance of our network to prevent congestion. Typical evening speed between (7PM – 11PM) of 11 Mbps for downloading into the home. Typical evening speed between (7PM – 11PM) of 42 Mbps for downloading into the home. Our NBN Max (100/40) plan provides a typical evening speed between (7PM – 11PM) of 68 Mbps for downloading into the home. * NBN™ Speeds: Actual speeds may vary due to many factors including type/source of content being downloaded, hardware and software configuration, the number of users simultaneously using the network and performance of interconnecting infrastructure not operated by Falcon Internet. Devices connected by WiFi may experience slower speeds than those connected by Ethernet cable. Typical Evening Speed indicates download speed and is measured between 7pm and 11pm. All Falcon Internet NBN Plans are No Lock-in Contract and you are you cancel at any time by giving us 1 month’s notice. Falcon does not charge any activation or setup fees and standard NBN Co installations are completed at no cost to you. With Falcon, there are no setup fees, no plan change fees, no relocation fees (if you are moving) and no worries. If you place an order with Falcon and cancel the order due to change of mind, no refund will be provided if your order is in progress with the NBN Co. An order is deemed to be “in progress” once you have received an order number from Falcon and your payment has been processed. After you have submitted your order, Falcon Internet will confirm if an installation appointment is needed. If an installation appointment is needed, Falcon Internet will organise this with the NBN Co and contact you with the appointment details. You or an authorised person over 18 years of age will be required to be at the premises on the day of the appointment. NBN Co charges are charged by the NBN Co Ltd and not Falcon. If you give permission to go ahead with the NBN Co non-standard or new development installation, Falcon will pass this NBN Co charge onto to you at cost. Falcon Internet services are residential grade services, may not be used for commercial purposes and is only available within NBN ready service area subject to nbn™ infrastructure availability at your premises. This service, including dialling 000, will not function in the event of a power failure or disruption or an internet outage. This service is not suitable if you have a serious illness or life threatening condition, if you require disability services, if you have a back-to-base home alarm system or if you require an uninterrupted phone line. All Falcon services are subject to our Fair Go Policy. Prohibited Use includes using this service in a business or for any purpose or activity that is illegal, fraudulent or any other nature contrary to our Fair Go policy. Learn more about our Fair Use Policy at: What is your Fair Go Policy? If you cancel your Falcon subscription, we won’t refund any fees that you’ve already paid to us. After your order has been activated, you can cancel your Falcon subscription by giving us 1 months’ notice. GOT QUESTIONS ABOUT CONNECTING TO FALCON INTERNET ON THE NBN™? Does Falcon charge any connection or installation fees? No, Falcon does not charge any activation or setup fees and standard NBN Co installations are completed at no cost to you. How do I get connected to the nbn™ with Falcon? With Falcon, there are no contracts, no setup fees, no plan change fees, no relocation fees and no worries. Just fast, simple & congestion free nbn™. You can also give one of our friendly nbn™ experts a call on 1300 NBN FALCON (1300 626 325). If your address is not nbn™ ready, you can’t order an nbn™ service. If your address will be ready within 3 months, we’ll let you know and give you the option to pre-order your nbn™ subscription. You can also check out our Coverage Map which is automatically updated with the latest information available from NBN Co. Once your address is nbn™ ready, you can order your nbn™ service online with Falcon or if you have submited a pre-order, we’ll connect you as soon as your address is ready. How can I pre-order nbn™ at my address with Falcon? Falcon’s NBN pre-order allows you to pick out your Falcon NBN Plan and lodge your order in advance so that as soon as nbn™ is available at your address, we can get the ball rolling on your connection ASAP. Whenever you check an address on our website, it will automatically be checked against the current estimated NBN™ rollout plan. If that check indicates that your address should be ready to receive an nbn™ service within the next 3 months, then you’ll be able to pre-order a Falcon NBN Plan. Filling out an NBN pre-order is exactly like any other nbn™ order. You’ll need to build your NBN Plan, provide your current contract information, installation address and valid payment details. Before we order your nbn™ subscription, we will either process the modem fee (if you opt to purchase our modem) or the 1st month plan fee (if you opt to BYO modem) upfront and in advance. Upfront payment is required to process any Falcon NBN order. Yes, we will either process the modem fee (if you opt to purchase our modem) or the 1st month plan fee (if you opt to BYO modem) upfront and in advance. Upfront payment is required to process any Falcon NBN order or pre-order. Just give us a call on 1300 626 325 and we’ll be happy to help. Please make sure that you have your order number handy – we’ll need this to identify your NBN pre-order. You can cancel your NBN Pre-order at any time as long as we have not submited your order to the NBN Co. If we have not processed your order or your address is not ready for service, Falcon will refund any initial payment you have made back to your credit or debit card within 2-3 business days of your NBN Pre-order cancellation. If your new home has been previously connected to the nbn™, we’ll normally activate your Falcon nbn™ service typically within 2-5 days. This may take longer if the former tenant or owner did not disconnect their nbn™ service before you moved in. NBN Co Timeframes: Please note that these are usual timeframes only. We may be able to get you online sooner or your order may take a little longer than anticipated. While Falcon will always do its best to get you connected as soon as possible, it is the NBN Co (or its third party contractor) that performs all nbn™ connections and installations across Australia, therefore connection timeframes are determined solely by the NBN Co Ltd.
Do I need a phone line to get Falcon Internet on the nbn™? To keep things simple, Falcon recommends you use the nbn™ for internet only, choose a mobile provider with unlimited calls and use Skype to make international calls to friends and family for free. Can Falcon provide a phone service? If you want to retain your existing phone number or use a home phone service, Falcon can provide you a VoIP service. It works just like your normal landline, and we can even transfer your current phone number. To sign up for Falcon VoIP, you’ll need a Falcon NBN subscription. You’ll also need a nbn compatible Wi-Fi modem from Falcon so we can ensure you have a reliable and quality VoIP connection. Can I use my own BYO modem with Falcon VoIP? Yes, you can use your own BYO modem on Falcon VoIP. You’ll need an nbn compatible modem to connect to the nbn. Your modem also must be VoIP capable. To keep things simple, we recommend you purchase an nbn compatible Wi-Fi modem from Falcon. 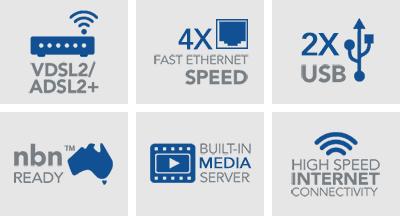 All modem purchased from Falcon are VoIP capable, fully supported, include a 12-month manufacture warranty and are auto-configured with your Falcon NBN and VoIP setting to allow you to plug and play. If you want to use your own nbn™ and VoIP compatible modem with Falcon VoIP, you will need to sign up online and subscribe to a Falcon NBN internet only plan. Once your nbn™ service is connected, simply call our support team on 1300 626 325 (Option 3) and request a VoIP service to be added to your account. Normally, your VoIP service will be activated and ready within 1 day for a new number. If you are transferring an existing active phone number, normally it takes up to 7 days to transfer your number to Falcon, but sometime it can take up to 20 business days. In the meantime, we can allocate a temporary number if you wish to make calls in the meantime.